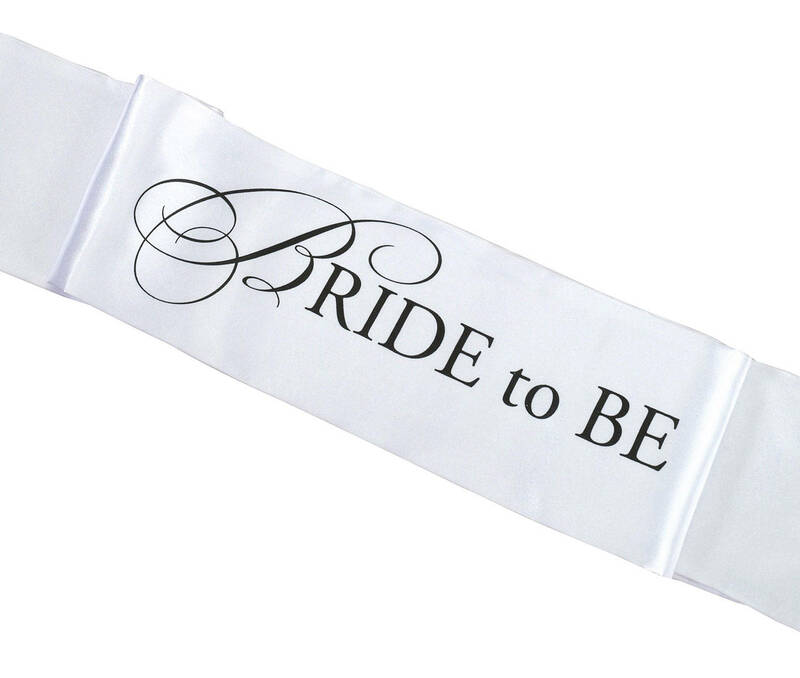 Bridal shower sash for bride to be. 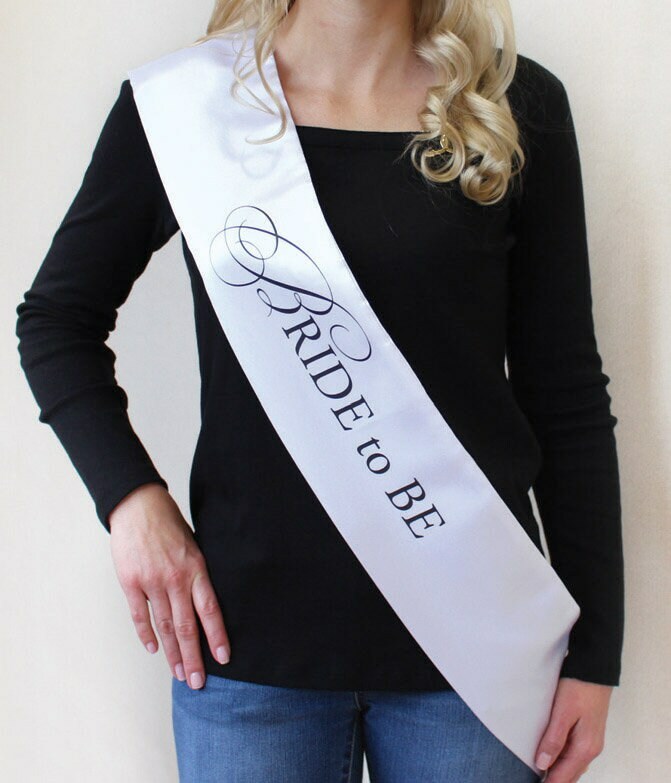 White satin sash is designed for the future bride at her bachelorette party, with transfer artwork in black that reads "Bride to Be." The sash is 68" long and 5" wide. The ends of the sash are sewn together. IDEA: You can easily pin on some of your own silk or fresh flowers to this to make it a unique little prop for the bride to be to wear.